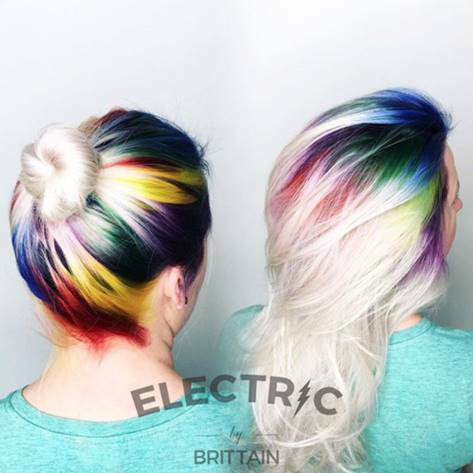 Apparently the hottest hair color trend has detoured from subtle balayage highlights to rainbow roots, and the internet is in love. I’m of the unpopular opinion: I don’t see the appeal of donning a Skittles mane – I’d rather taste the rainbow than wear it. Plus, when your hair grows out, this is going to look hella strange. I’m not one to usually tell people how to live their lives… it’s your hair, do what you want with it. But IF you were to ASK me… I’d suggest toning down that urge for something bright & different this summer by opting for some timeless, low-maintenance balayage instead. 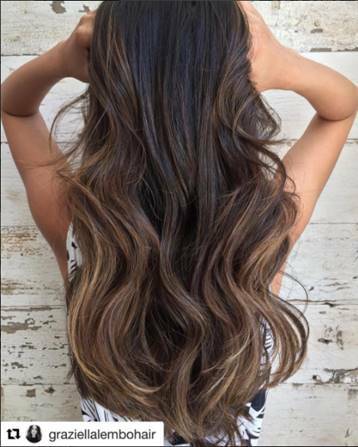 This girl (below) balayaged her hair three years ago, and this is what it looks like today. Trust me, rainbow roots will not look this pretty three years from now.